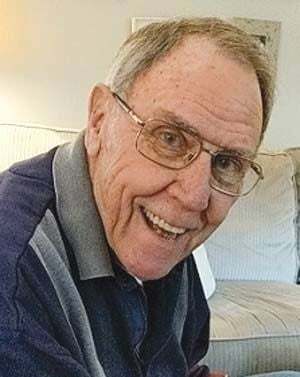 Walter Edward Boge, age 81, passed away on Tuesday, Feb. 26, 2019 at Peninsula Regional Medical Center in Salisbury. Born in New York City, he was the son of the late Edward A. and Elizabeth Weis Boge. He is survived by his wife of 55 years, Lucille Dodson Boge, and sons, William and his wife, Libby, of Manassas, Virginia, Matthew and his wife, Ryan, of Raleigh, North Carolina, and Christopher and his partner, Jon Parks, of Millsboro, Delaware. He is also survived by four grandchildren, August, Alex, Jacob and Lauren Boge, and one great-granddaughter, Olive Lemke. He was preceded in death by his brother, Norman Boge. Mr. Boge was a graduate of City College of New York (BCE), Syracuse University and Perdue University (MSE) and retired as director of the U.S. Army Topographical Engineering Center. An avid fisherman, he was a board member of the Anglers Club in Ocean Pines and was a fan of the Washington Redskins. Cremation followed his death. A Celebration of Life is planned at a future date. A donation in his memory may be made to: Diakonia, 12747 Old Bridge Rd, Ocean City, Maryland 21942.
Letters of condolence may be sent via: www.burbagefuneralhome.com. Arrangements are in the care of the Burbage Funeral Home in Berlin.